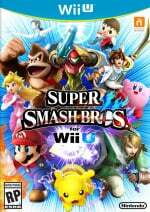 As announced earlier this week, we've planned a couple of community gaming events to take us into the festive season; we've already played a bit of Mario Kart 8, so now it's the turn of Super Smash Bros. for Wii U. You voted for the rules in our polls, though we're keeping it light-hearted and fun; matches will be decided on the three stock rule, stages will be random, Mii Fighters will be allowed but Customised Characters will not. Should we revisit more competitive tournaments in 2016 we will offer more choices to rule out certain stages and so on, but in this case have kept things simple. So, to join all you need to do is search for the following details in the online Tourney menu. As previously announced, we've setup a window that will hopefully get a decent number of players involved at once, with a limit of 100 overall entrants due to Tourney limits. It will be live from noon Pacific / 3pm Eastern / 8pm UK / 9pm CET until 5pm Pacific / 8pm Eastern / 1am UK (24/12) / 2am CET (24/12). Look out for "outta here" with the David tag. I'll be the one slaughtering everyone as Shulk. Watch out for my Kirby/Duck Hunt wrath, you guys. And maybe my Cloud's wrath, too. Bottom line, just watch out for Flames. You'll be in for a good time... I think. The rules sound really meh, but I'll join for the heck of it. Yay I can finally play for fun on tourney mode! No one ever plays on that mode. How good are you guys? I've been to a local tourney or two myself. Hope to see you all there! I'll be mostly Sonic (my main), with a "2FAST" tag. I'll rek all u scrubs. I'll try to not miss the tourney. I'll be on the look out for my Cloud, Shulk, and Pit even though I'm kinda rusty after getting back into Project M and not playing Smash 4 for about a month. @HeroponRiki I'll be there in 4 hours to show you how much you overestimate yourself. @RXTMFE Don't underestimate me! I got sixth in a local Tournament! @PokeMelon123: That used to happen to my Brawl disc if someone used Pit or Olimar. I'm looking forward to this. I'm much better at this game than Mario Kart. Plus, I'm guessing it's no items, right? If so, then I can't blame luck when I lose. Well, then. Tons of competition. This tourney looks like it's gonna be a blast. Can't wait! @Gridatttack if its not 1v1 or 2v2 and it has stages with hazards then its for fun. @ThomasBW84 A little love for the DS this holiday season. I know you guys have a proper "submit news article here" button but I can never find it, sorry. DS is at the 1:09 mark if you want to skip ahead. I'm off work today so I should be able to play for a little while at least. Judging by how good people claim they are ill be the one with the name DickeyWord getting his but kicked all over the place haha. I love playing with all sorts of different characters so that might be a reason I'm not that good with anyone particular. Oh well as long as I'm having fun and a good time, which is why we should all be playing Nintendo games in the first place. Sounds fun, but I won't be able to join. Gotta work 😕. Maybe next time. I played the Mario Kart races yesterday but I'm gonna have to give this a miss. I'm not really feeling like Smashing today, would rather relax with Mario Maker. Have fun everyone! Welp, it's pretty hard to practice with Cloud if there's items around. Now I remember why I only play 1v1 because of all the lag you get with four players. Should have made it like last time. One for fun and one serious. Hmm items... .. think I'll pass they match stuff even more laggy. I'm not very good at Smash, but I'll try! I'll be either Sonic or Luigi, and my brother is going to play some too as Game & Watch and Lucas. So, if you see Blue Blur with the name Blue Blur, that's me, and if you see Blue Blur with the name Kevin, that's my brother. Good luck, everyone! 75m is the worst stage. Theres no room to play and the ladders are annoying. Me and my brother are done, thanks for the games everyone! Sadly, lag made it hard to fight in most matches, but it was still fun. I have played on the most hazardous stages. Why did you people make a poll asking about items for Mario Kart, but not Smash? Now everyone is just complaining. Well, I'm done for now. Currently 3rd with 88 points... I'm guessing I'll be dethroned by the end of the tournament, though. Some of these stages are just so bad. I can really do without the lag in all the matches. 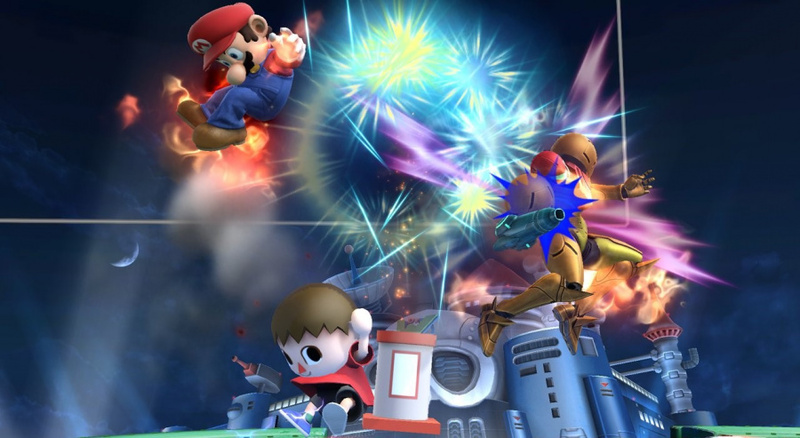 Pilot wings, Mushroom kingdom and Kalos has appeared 3 times. This isn't fun when bad stages like 75m appear multiple times. Half the people who voted arent playing. I haven't played a Smash Tourney in years (I had fairly respectable Ice Climbers). I've registered for this one and I can't wait! None of the questions were, "Items or no?" Cause is there are no items, I'll pass. @XCWarrior True. I mean they even asked on the mario kart thing. But not here, for some reason. This was highly unpleasant with the campiest players at the top. Next time it's gotta be for glory rules. Well I'm out. I have played pilotwings 4 times. Really? And with items, it encourages camping. @ThomasBW84 next time please ask if we want items. This wasn't asked like in the MK8 tourney. How the hell did I die on the Pokemon Kalos League stage? As soon as I respawned, I died for no reason. Ugh! People who only play as one character get on my nerves. I get it, you're good with Ness, but switch it up. With all the mess that are the battles, I dont know who you are. @Gridatttack They stated it would be FOR FUN, so items are a given. @Mr_Rawky They asked the people for items in MK8. Smash should have been the same way. @Gridatttack Not if it's FOR FUN from the get go. Besides, 4 player fights are much better with items, rather than 1 v 1. Lol cant play with items and stage hazards anymore! @Mr_Rawky I like a game of 4 players against each other but I'll be lying if say I prefered it over 1v1s with no items and battlefield. Just my ever so useless 2 cents. Also the cars at F zero are OP. LOL Tied with MacGuffen cuz he was in the background. @Chaoz I've always been a fan of 4 players, items on, any stage... aside from the huge ones and ones with intrusive bosses. @Fee I would, but we have the entire ocean in between. Besides, local will always be better than online lol. Man, peach castle 64 is always fun lol. Missed that stage since the 64 days. I liked the part where I knew Super would get rekt. I was able to play for only bout half hour until the lag just got to be too much for me. I'm also not a huge fan of items besides smash ball and assist trophys. I hope next time Splatoon is the game they pick for a session. @Haha: I made sure you got 4th because you were using Male Robin. I'm not joking. Why do you think I grabbed you while you had the sticky bomb on you? @apg313 I dislike you. Fight me irl. GET HIM CHRIS! EDIT:You friggin' failed me! That Linksoer targeted me with the Final Smash and ruined my game. You're bout to LEARN! @apg313 lol I remember when we tied on delfino. Suddenly, a bob omb appeared in front of us. Keldeo ****ing hates me for some reason. I've died 4 times to Keldeo this tourney. Tourney was ok. Ruleset definitely could have been better. I just went ahead it called it good though. @Linksoer I'm gonna kill you so hard this match. @apg313: You're the one who's that way. I'm no way. lol @ people getting salty. @HAHA I WILL KILL YOU PICK THE RIGHT ROBIN!!! I am posting mid match. To. Tell. You. @Lastlife: If you lose to him you're a friggin accomplice. Thank you for not failing me like Chris. @Linksoer I already rekt you on Punch Out! With Zelda. You LOST!!!! Technically we tied but you died first so whatever. @UMDYTR I'm gonna kill you again bro, Watch. I TOLD YOU! I TOLD YOU! You friggin' want more!? YOU TOO LINKSOER! THIS MATCH BOTH YOU DEAD!!! @apg313 Final Destination is a poop stage. @Chandler: Why did you ruin everything by targetting me with your Final Smash twice? You have no chance against Linksoer so just give. I don't care f you got two lives. You killed it. You ruined me, you, DMYTR Everyone, and now you died in the last two seconds cuz you ruined it. lol that last battle was fun. Last Match Linksoer. Meet the real Robin ne. Well, GG everyone, it was fun. At first it was derp, but it got fun at the end. Then I wasnt really rekt then lol a least not buy you. @Linksoer Shut up yes you were! I killed you in the Sudden death! I'm sending you a friend request fight me again! That was fun! Thanks for the games! @Gridatttack Damn thats a pity :C You played awesome! @Linksoer I'm starting the room! @Fee I'm talking about the Omega Stages, not the actually stage "Final Destination". @apg313 There's no difference man. Well not enough to matter. I don't like the flat stages. I'm just joking around though, it's an okay stage even though I'm terrible at it. Also I got 13th, starting about 2:30 late. @Linksoer: Wut? You Add me then delete me then you send me a friend request then I accept t but you already ran away cuz you scared! I see how it is. @Fee is your mii called bronze? @Linksoer Yeah...but you went offline. @HeroponRiki Scrub, you kept hiding and running away. @shinokami Ok Linksoer got scared. You fight me! @shinokami FFFFFFFFFFFFFFFFFFFFFFFFFFFFFFFFFFFFF! OK. But fight me. I already sent the request. P.S. I actually placed higher than you in most(or all) matches we fought in...You're El Mexican right? Anyway room should be up soon! @OorWullie You're the one calling names bro. I'm just having fun. Festive Fun. Did you even show your NintendoLife spirit by participating? I did. I even waited through the update and bought the Mario Kart DLC yesterday so I could join in on the Festive Fun and all that nonsense. Why you judging Fee? You want to hurt his FEElings? ...@Gridatttack, I extend my condolences. I had a lot of fun! Even if the lag got pretty bad at times. Just so people know who I am, my Mii name is Nick and I mostly played Villager, Kirby, Jigglypuff, Lucas and Guybrush (Mii Swordfighter). And now I really must go to bed. Why y'all gotta make me stay up past 1am? @apg313 just FD stages would be too boring. Maybe keep it random, but remove the crazier stages. Just use a typical tournament stage set. @Zyrac Well, Its my fault though. I derped on some matches and decided to SD in a silly way lol. Wish I could have fought you more. IIRC, we only did once, in the Luigi Mansion wit the 2 Ness. @DanniChuu Thanks! Fun games against you too! Hey thats fine! :L Stuff like that just happens. Zero style m8. Great 1v1 though! @Zyrac Darn it.I saw you in a match and thought you weren't that good but you won so I'm a bad judge. I was too focused on DYMTR(or whatever) and Linksoer...and Gridattack but he was cool. @Shinokami: I got disconnected but I'm still waiting bro. @Fee lol well that one at Fzero was pretty lulz, I thought I had the win, but then the Stage shenanigans kicked in and I lost lol (I think I hit the side wall). Also that Zelda's arrow was pretty cool too (Sniped from the other part of the stage) when we were playing against some kirby too. GGs overall! It started to get interesting when you appeared, as I was going to ragequit because the last match was played on 75m for the fourth time (and the one before that was on Pilotwings, after the third time) and I was getting the same campy people. And second match...2 Stocked...him not me... I mean I won. @Gridatttack Yeah, funny we only saw each other once. Our matches were out of sync, I guess. You were a worthy indirect rival, at least. @Fee If I looked a bit awkward at times, it's becuse I was using the gamepad instead of my usual GC controller. Guess it didn't hinder me too much in the end though. @Shinokami: I assume that was your main? Well I'm out. Nice(ish) games bro. Good win at the end. I didn't expect you to get any. Good game everyone! Had a lot of fun today with my Mii and occasionally Link. Thank you Nintendo Life for hosting. Sorry not at home ar the moment but I think I can play some matches later if your still online. @Linksoer All right. I'm not sure if I'll be playing Smash later or not, but maybe.